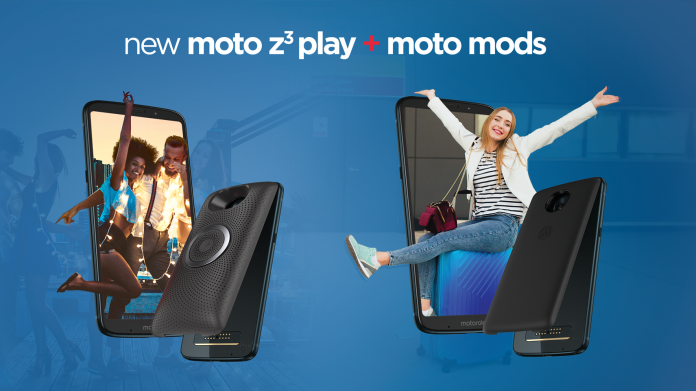 After so Much Leaks and Renders, Motorola has Finally Launched its Latest Smartphone Moto Z3 Play in India. The Smaertphone is the Successor of Moto Z2 Play which was launched last Year. The Z series is Special Series by Motorola in India which comes with a Great Mod Feature which can be Used to Further Enhance the Device. The Key Features of Smartphone are 18:9 Display , Dual rear Cameras with AI Features , MODs Support and Snapdragon 636 Chipset. Moto has Kept same design pattern in this Smartphone as its Predecessor also the new Moto Z3 Play Smartphone comes with Corning Gorilla Glass 4 Protection both at the Front and Rear Side of the Smartphone. Moto Also Stated that Z3 Play is built using a Light Weight Aircraft Grade 6000 Series Aluminium Frame. New Moto Z3 Play also Gets Side Mounted Fingerprint Sensor and Navigation Bar at the Botton which is gesture based. The latest Moto Z3 Play comes with a 6 inch Full HD+ Super AMOLED Display with Pixel resolution of (1080 x 2160 pixels) covered with Corning Gorilla Glass protection. It also gets all the Moto MODs Support which were Launched by the Company Earlier. The Mobile phone also gets a water-repellent nano-coating and is splash-resistant. Coming to the Performance, Moto Z3 Play is powered by a 1.8GHz Octa Core Snapdragon 636 processor coupled with Adreno 509 GPU. It comes with 4GB RAM with 32GB or 64GB storage which can be expanded up to 2TB via microSD. Talking About Camera , Z3 Play comes with Rear Dual Camera Setup, at the Rear there is a 12MP Primary Camera with f/1.7 aperture with 1.4um pixel Size + 5MP Camera with f/2.2 aperture with a Dual tone LED Flash support. Whereas Front Gacing Camera is of 8MP with f/2.0 Aperture. The Smartphone also supports Google Lens. Coming to the Connectivity Features , Z3 Playcomes with Dual SIM 4G VoLTE Support , WiFi 802.11 ac , Bluetooth 5 LE, GPS, NFC and USB Type-C support as well. The smartphone comes with a side-mounted fingerprint sensor. Talking about Battery, Z3 Play is powered by a 3000mAh battery which also supports Turbo Charging. 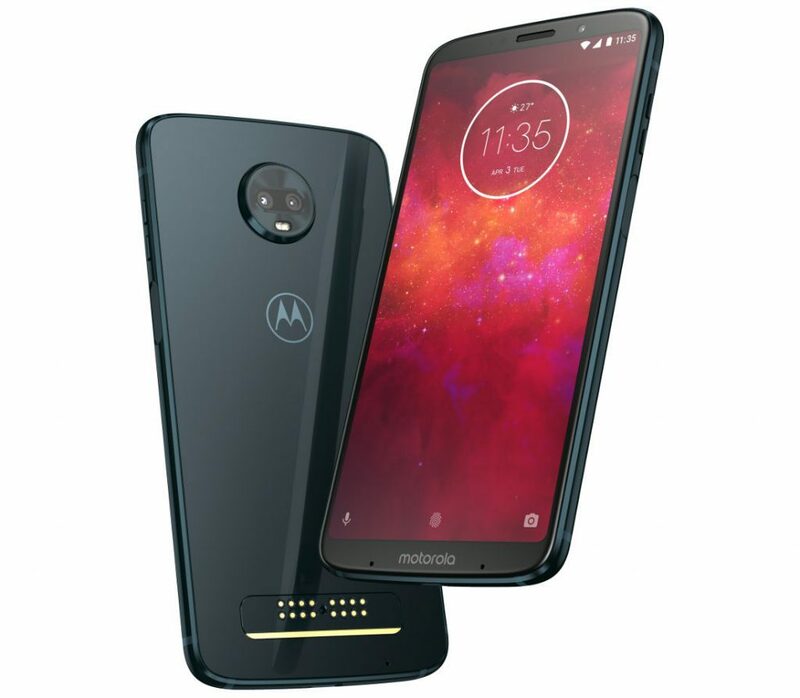 The Moto Z3 Play is priced at 2,299 Brazilian Real (Rs. 40,000 approx.). The smartphone comes in Deep Indigo color option and two Variants 64GB and 128GB Both the variants comes with 4GB RAM. Motorola is also bundling a battery Moto Mod that costs $499 (Rs. 33,000 approx) for free along with the box.